The 2016 United States presidential election debates were a series of debates held for the 2016 U.S. presidential general election. The Commission on Presidential Debates (CPD), a bipartisan organization formed in 1987, organized three debates among the major presidential candidates. 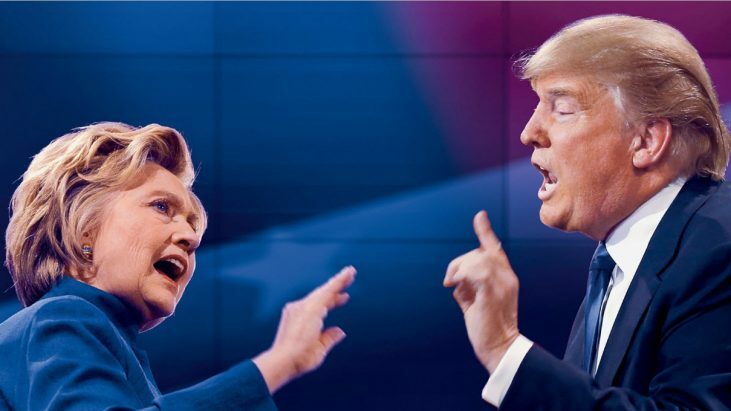 The first presidential debate for the 2016 election took place on September 26, 2016, and set the record as the most-watched debate in American history, with 84 million viewers. The only vice-presidential debate was held on October 4. The second presidential debate took place on October 9, and the final debate took place on October 19. All CPD debates occurred from approximately 9 p.m. to 10:30 p.m. EDT (6 p.m. to 7:30 p.m. PDT). Only the Democratic nominee Hillary Clinton and the Republican nominee Donald Trump met the criteria for inclusion in the debates, and thus were the only two to appear in the debates. Hillary Clinton was considered to have won all three presidential debates by scientific opinion polls of likely voters. Despite this, Donald Trump won the presidential election held on November 8. Below, you will find the complaints submitted by viewers to the FCC, about these debates. Specifically, this release consisted of the complaints for the debates which took place on Monday, September 26, 2016, Sunday, October 9, 2016 and Wednesday, October 19, 2016.